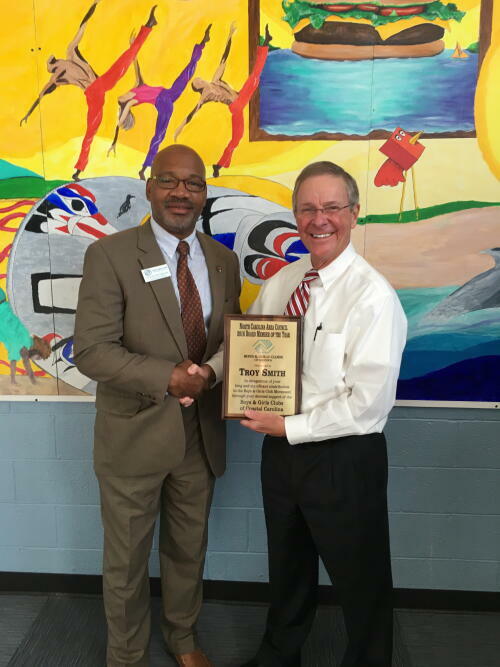 Troy Smith Recognized for Boys & Girls Clubs Service - Ward and Smith, P.A. Ward and Smith, P.A. is pleased to announce that attorney Troy Smith was named North Carolina Area Council of Boys & Girls Clubs of America 2016 Board Member of the Year for his support of Boys & Girls Clubs of Coastal Carolina.